Visa Approval letter is the letter approved, signed & red sealed by Vietnam Immigration Department (Vietnam Government), it allows you board and pick up your visa on arrival at any of the four international airports of Vietnam. 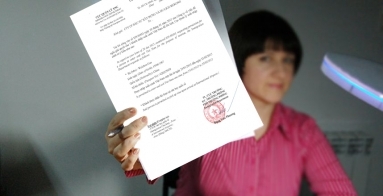 – Normally, you will get bulk applications or up to 30 persons and all applicants’ names are printed on one letter. This kind of letter is cheaper. – If you are concerned about privacy or security, you can ask your agent for a private approval letter that bears only your name, and if applicable, the names of family members or friends who are travelling with you. This kind of letter require extra cost. Print the entire approval letter (preferred in colored but not essential) and don’t forget to take it with you! 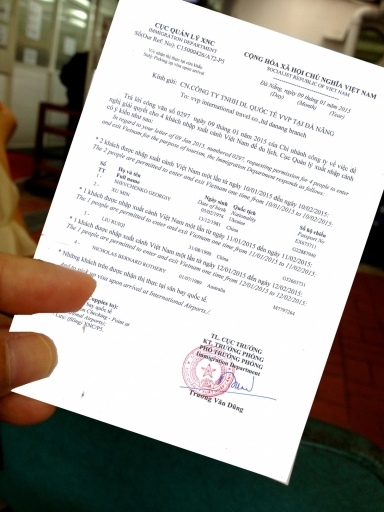 Some airlines will ask to see the letter before they allow you to check in or board the aircraft and you will need it at the VOA desk when you arrive at the airport in Vietnam.